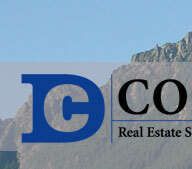 Cook Real Estate - As a North Bend, Washington resident, David Cook knows the area well. Lenders have a department (typically called a loss mitigation department) which processes potential short sale transactions. Typically, lenders do not accept short sale offers or requests for short sales until a Notice of Default has been issued or recorded with the locality where the property is located. Lenders have to approve of any buyer's or listing agent's commission in advance, a primary reason for non-brokered short sales with a specialist or facilitator to save on the margin. Many of these facilitators work with a private lending party for their financing, such as a partner or syndicate. Lenders have a varying tolerance for short sales and mitigated losses. The majority of lenders have a pre-determined criteria for such transactions. Other distressed lenders may allow any reasonable offer subject to a loss mitigator's approval. "Red tape" is very common in short sales, similar to REO (Real Estate Owned) and HUD (Housing & Urban Development) properties, requiring potentially multiple levels of approvals and conditions. Junior liens, such as second morgagees, HELOC lenders (home equity line of credit), and HOA (special assessment liens), may need to approve of the short sale. Frequent objectors to short sales include tax lieners (income, estate or corporate franchise tax - as opposed to real property taxes, which have priority even unrecorded) and mechanic's lien holders. It is possible for junior lien holders to prevent the short sale. While it is frequent if not common for a lender to forgive the balance of the loan in question, it is unlikely that a lien holder that is not a mortgagee will forgive any of their balance. Further, it is common for a lender to omit updating the zero balance and settlement option on the mortgagor's credit report, or even flat refuse to do so "due to their financial loss." When the lender decides to forgive all or a portion of your debt and accept less, the forgiven amount is considered as an income for the borrower and is liable to be taxed. However, after the signing of The Mortgage Forgiveness Debt Relief Act of 2007 by President Bush, amendments have been made to remove such tax liability and allow the borrower and lender to work freely together and find a common solution that is beneficial to both the parties.